This ultimate lamb kabab/kebab platter recipe makes the best lamb kabab wrap you’ll ever have. Spiced up lamb is shaped and grilled till perfection, a perfect tahini sauce to drizzle on grilled flat bread, a tangy zesty tabouleh to top the kababs, plenty of fresh mint and sumac spice to scatter on top of that, a squeeze of lime and more tahini sauce drizzled to finish off this ultimate wrap experience like no other! This recipe reminds me of a very special friend, when we both used to live in Toronto. 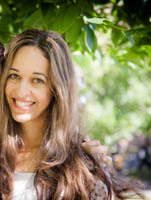 Our kids went to the same daycare together and we spent plenty of time talking, sharing and enjoying food—yes she was a real foodie and I think that’s how we connected in the first place. Kebab or Kabab basically refer to meat that’s skewered and grilled. Kebab meat can be anything from chicken to fish to beef, to lamb. 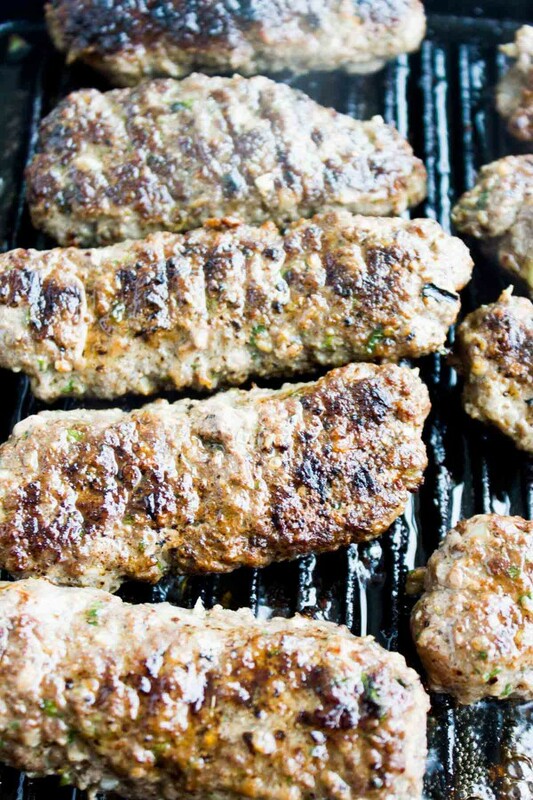 Kabab also in many cultures like in Turkey is referred to as grilled long flavored ground beef/lamb. Back to my friend’s toddler, who was a huge fan of lamb, and I mean huge! I hadn’t met a toddler who appreciated that unique lamb flavor ever, and he ate noting but it. So I made them this ultimate lamb kabab platter, wrapped it up and left it at their building lobby the day before they left to the US. Now fast forward nearly 7 years from that day, every time we chat—this recipe comes up! She and the world’s biggest lamb fan really enjoyed it, so that’s the seal of approval. First of all, you’ll start the kebab/kabab my mixing onions, garlic, parsley and spice in a food processor. Then you’ll add that into the ground lamb. While this sounds like a meatball mixture, the traditional kebab shape is like a log about 3-5 inches long and about 1 inch wide. So now shape up the lamb mixture and grill right away. Indoor grill since it’s pretty cold right now, but if you have the outdoor grill on–go for it! Finally finish off the kabab while it’s still hot off the grill with a sprinkle of sumac spice. This brightens up and add a lemony finish to the lamb. Sumac spice is a favorite of mine because it adds such a nice bright lemon flavor—I’ve used it in this lemon artichoke garlic roast chicken and this fabulousTurkish pizza lahmacun recipe. Once the kabab is ready, all it needs is the condiments—which I always have ready beforehand. I know you might think I’m asking way too much to get all these ready, but they’re all very speedy to prepare. Also, rather than rushing, these can all be made days in advance. 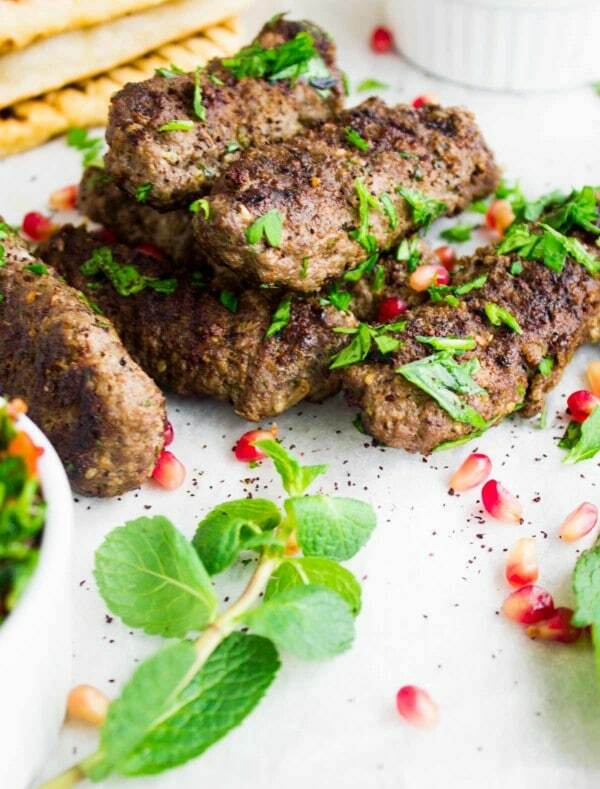 Don’t skimp because really, the ultimate lamb kabab platter wont be ultimate without them! So one of them is this instant perfect tahini sauce—super quick, tahini lemon, cumin, water and salt all whisked together in a flash but the result is an outstanding sauce! The other is this speedy quinoa tabouleh which is made in a food processor in a few batches but still super speedy, tangy, loaded with parsley and mint. Another is the grilled flatbread—so I love using naan bread, which isn’t exactly authentically the correct type of bread, but it’s just so perfect for this recipe. A recipe for authentic naan bread will follow up soon on the blog, but for now let’s stick with store bought naan bread that’s grilled on each side for 30 seconds. Use lamb, because it adds so much flavor that you can’t replace! Instead of chopping or grating the veggies that go in to the kabab, use a food processor to instantly mince everything together. The Kabab can be shaped and stored in the fridge for 3 days or frozen for 3 months before grilling. If serving the whole platter, make sure to make the Tahini Sauce up to 6 days in advance and the Tabouleh salad up to 2 days in advance. If you can’t find Sumac spice, use plenty of lemon juice to squeeze on the grilled kebabs. 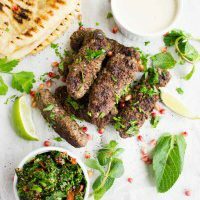 This ultimate lamb kabab platter recipe makes the best lamb kabab wrap you’ll ever have. Spiced up lamb is shaped and grilled till perfection, a perfect tahini sauce to drizzle on grilled flat bread, a tangy zesty tabouleh to top the kababs, plenty of fresh mint and sumac spice to scatter on top of that, a squeeze of lime and more tahini sauce drizzled to finish off this ultimate wrap experience like no other! 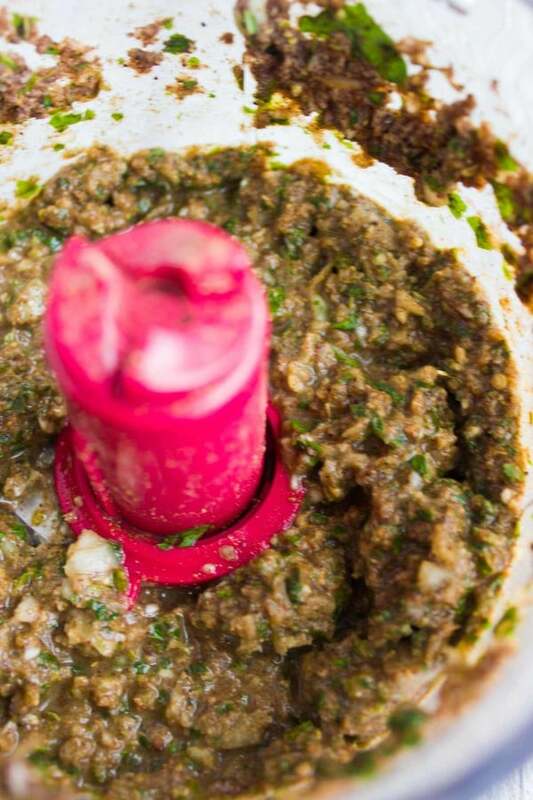 In a food processor, mix all the ingredients for the lamb mix (minus the lamb) until pureed and smooth. Then add this marinade into the ground lamb and mix it well. 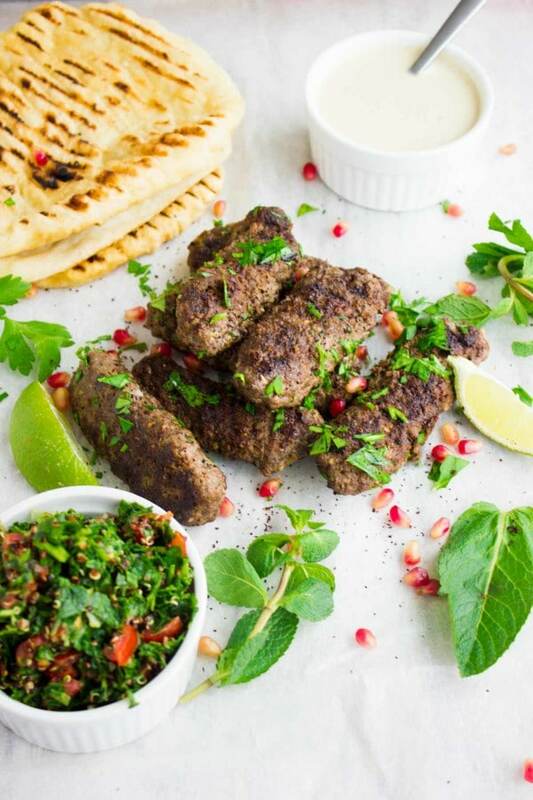 Shape the lamb into mini logs and place on a medium high grill or stove top grill pan for 5 minutes per side ( 2 minutes more or less depending on the size of your kababs). As soon the kababs are done, sprinkle them with a good amount of sumac spice. 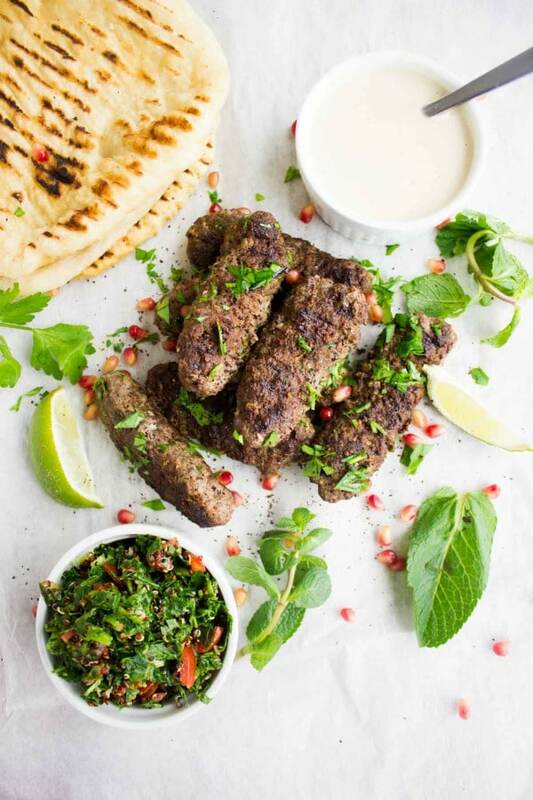 To assemble the kabab platter, serve the perfect tahini sauce in a bowl, the speedy tabouleh in a separate bowl, the naan bread on the side, fresh mint and lime quarters on the side and serve. 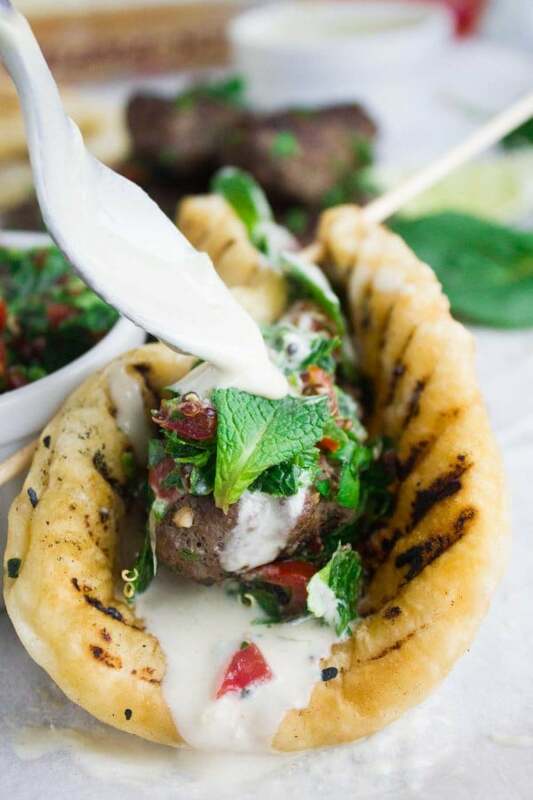 To assemble the ultimate kabab wrap, take one grilled naan bread, and spread it with a teaspoon of the perfect tahini sauce, place a lamb kabab in the centre, mound 2 tablespoons of tabouleh on top, some fresh mint, a squeeze of lime and a final drizzle of the perfect tahini sauce and serve. Use lamb, because it adds so much flavor that you can't replace! If you can't find Sumac spice, use plenty of lemon juice to squeeze on the grilled kebabs. This looks so great! Lamb with spices is always my favorite food. Great photo too! Delicious and full of flavour – the ideal weekend meal to share with the family! perfect for get togethers outside picnics and a fun way to serve lamb. I know everyone will enjoy these kabobs! We love lamb at our house and you’ve spiced these perfectly. This would be a wonderful platter to serve with a tabbouleh, as you’ve suggested, and also some hummus! Yum! This looks incredible! I love the lamb with all of the sauce and herbs on the nice pita bread. I can’t wait to give this recipe a try! Hope you try it soon!! Oh my goodness ?. Thank you for this recipe!! This is a good idea and amazing recipe too. Something very unique and colorful. Need to try it out. Hope you enjoy them Chrissie! These are so delicious! Love them with tahini sauce. It’s the best combo isn’t it! We love lamb. Cannot wait to try this! These look amazing! Cannot wait to try this!! I have never made these before thank you! Now you can make them at home Jo! How good this looks! I would this for dinner tonight! I always make this when we have company and everyone loves it!